A heavy-handed series of arrest operations against families of prominent republicans backfired significantly on the PSNI this week as public opinion turned against them. 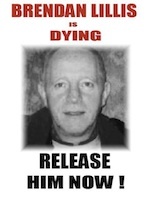 The Life Sentence Review Commission has refused release of critically ill republican prisoner Brendan Lillis on compassionate grounds as a growing human rights campaign continues to demand his release. 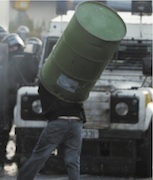 Sinn Fein has accused the PSNI of an “obvious disparity” between how riots in loyalist and nationalist areas are policed. The Orange Order yesterday [Wednesday] attempted to stage a march along part of the nationalist Garvaghy Road in Portadown. Householders in the 26-County state face hundreds of euro in new charges, starting with a flat-rate charge in January and separate water and property charges by 2014. 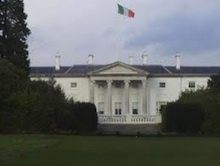 The coalition government in Dublin has named Thursday, October 27th, as the date for the presidential election and two constitutional referenda. 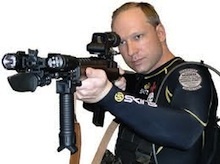 Right-wing mass murderer Anders Behring Breivik made a bizarre reference to Derry’s Bloody Sunday in his 1500 page manifesto, it has emerged. 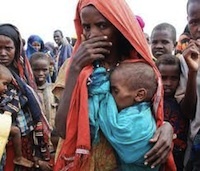 Famine is a terrible word. 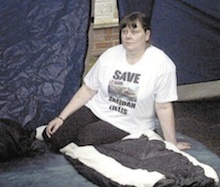 It conjures up frightening images and for many in Ireland a folk memory of the Great Hunger of the 1840’s. The Six-County administration is still resisting intense pressure to release dying prisoner Brendan Lillis, who remains critically ill at Maghaberry prison despite having the charges which put him there withdrawn. Veteran republican Marian Price has been charged by the PSNI in a move widely seen as a political response to the growing controversy over selective internment and the plight of Brendan Lillis. A Ballycastle man assaulted on the Twelfth of July has said he was set upon only because he had walked across the road during a contentious parade by the anti-Catholic Orange Order. The Taoiseach Enda Kenny has mounted a strong verbal attack on the Catholic church as pressure again grows in Ireland for action to be taken in the wake of the latest child abuse scandal. A lowering of the interest rate being charged by the European Union for its share of the current 85 billion euro bailout loan will not deflect the Dublin government from implementing further cuts to services as well as new stealth taxes, the government has said. The PSNI in Derry have been accused of mixing sectarianism with racism as they interrupted a wedding ceremony between a local man and a woman who had moved to Ireland from China, and arrested the couple. Why did the Nelson Inquiry not mention collusion? 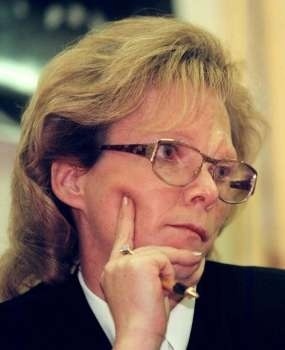 It was set up specifically to definitively address the allegations of collusion but after a six-year probe costing £46.5 million, the Rosemary Nelson Inquiry made no reference to the “c” word in its final report. In recent days, largely as a result of the persistence of his indefatigable partner Roisin, the case of Brendan Lillis has at last managed to break into the mainstream media. Supporters of critically ill Maghaberry prisoner Brendan Lillis are to stage a hunger protest in a last-ditch attempt to convince the Stormont and British authorities to release him from prison before he dies. Over 100 loyalists were involved in a serious mob assault at a ‘peaceline’ in Portadown on Friday night, throwing bricks, bottles, paint-bombs, fireworks and at least one blast bomb. The Six-County administration at Stormont has been criticised for adopting a ‘securocrat’ response to the marching season. Members of a north Belfast soccer team have been left with injuries including stab wounds and a broken leg after being attacked by a loyalist mob. A member of the Continuity IRA has dismissed offers from senior Sinn Fein figures to enter into talks, according to the Guardian newspaper. 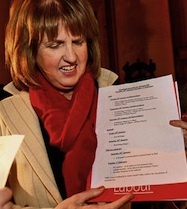 ‘Minister for Social Protection’, Labour’s Joan Burton, has been widely condemned after she suggested that social welfare is becoming a “lifestyle choice”. 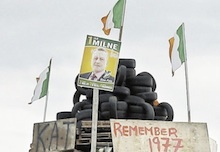 The distinction between ‘legal’ union flags and ‘illegal’ loyalist flags, as raised by the Ballyclare riots, is a pure Orange herring. 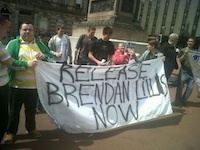 The humanitarian grounds for releasing Brendan Lillis far outweigh the political considerations that are feeding into his ongoing imprisonment. 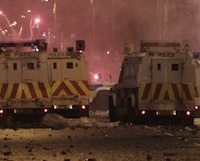 The PSNI attacked a peaceful protest in the republican Ardoyne area of north Belfast to facilitate a sectarian march, triggering hours of rioting on Tuesday evening. A series of sectarian and racist attacks were carried out by loyalists in the nights leading up to the ‘Eleventh Night’ bonfires and the ‘Twelfth’ marches. 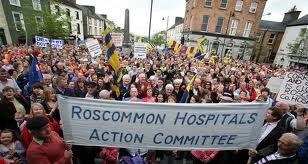 The Taoiseach Enda Kenny and Tanaiste Eamon Gilmore both misled voters in pre-election assurances about the future of hospital services in Roscommon, it has emerged. 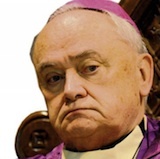 There has been another shocking report on the failure of the Catholic Church to protect child abuse victims in the 26 Counties. Jailed former Provisional IRA commander Gerry McGeough has passed the first stage of a legal battle to be given an amnesty, in line with those accorded to some other combatants in the North’s conflict. The Dublin government postponed Ireland’s National Famine Commemoration Day due to the visit of ‘Queen of England’ Elizabeth Windsor -- and is still refusing to name a date for the event. A look at the lives of two Volunteers who died on hunger strike 30 years ago this month. 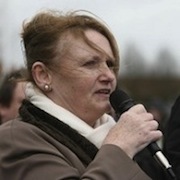 The ongoing detention of the republican activist Marian Price two months after her arrest raises serious concerns about how life sentence licenses are being used as a weapon of political policing. 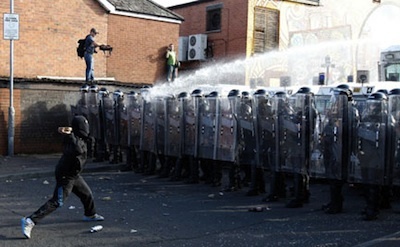 Intense rioting has engulfed north Belfast after a parade by the Orange Order was forced through the republican Ardoyne area. Serious disturbances broke out across Belfast and elsewhere last night as loyalist bonfires spilled over into sectarian attacks and quickly evolved into general rioting. Riots orchestrated by the unionist paramilitary UVF erupted in a number of towns in county Antrim overnight, ostensibly over the removal of UVF flags erected for the marching season. More than a thousand people have protested outside the Dublin parliament as the coalition government begins to wield the axe against frontline health services around the country in order to serve European/IMF demands for spending cuts. 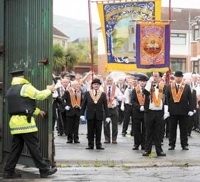 A controversial plan by the Orange Order to hold a parade in Portadown in County Armagh without the usual notification was apparently averted when the organisation was informed of pending arrests of the Republican Sinn Fein leadership, it has emerged. 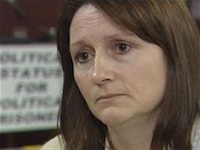 A report which could end the protest by republican prisoners at Maghaberry jail has been shelved, it has emerged. No inventory of the arms decommissioned by the Provisional IRA and loyalist paramilitaries is to be made public, the arms body which oversaw the process has announced in its final report. A journalist who worked for the ‘News of the World’ has admitted the phone hacking practices used in the newspaper’s British operations were also used in researching some of the stories for its Irish edition. Diarmuid Lynch was said to have been the last man to leave the burning GPO during Easter week in 1916. A naturalised US citizen, he was eventually deported in 1918, but the British had long wanted rid of him before the Rising. 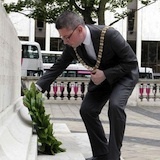 On Saturday, the Sinn Fein Lord Mayor of Belfast laid a laurel wreath at the City Hall cenotaph, to the annoyance of unionists. The President and Vice President of Republican Sinn Fein were arrested in Lurgan, County Armagh last night on the way to a protest rally in support of republican prisoners. The homes of nationalists in the Short Strand were again attacked by loyalists on Friday night as both unionist paramilitaries and the Protestant Orange Order combined to create a living hell for the beleaguered community. The Irish ship, the MV Saoirse, has been covertly attacked in a Turkish port as it prepared to sail to Gaza as part of an international aid mission. A new protest is underway at Maghaberry jail to bring pressure for a resolution to a long-running standoff over conditions at the notorious County Antrim prison. The gun used in the Loughinisland atrocity was used in the mass murder attempt of eight workmen just months earlier, it has been revealed. The 26-County Minister for Justice Alan Shatter has been strongly criticised by all those involved in the Smithwick Tribunal after he imposed a deadline on the tribunal’s efforts to investigate allegations about a deadly IRA attack in March 1989. A West Belfast man has said that after years of harassment by the PSNI police, he is now being harassed by British military intelligence. An Irish immigrant who was the last person to be hanged in Rhode Island in the US was this week pardoned more than 150 years after his death. 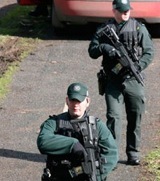 No-one in any part of the political or police system should take peace for granted.